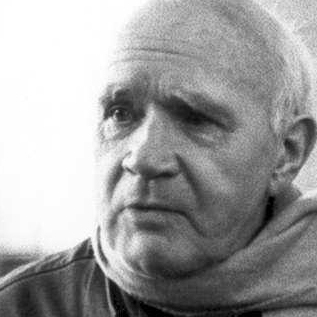 The infamous playwright, poet, novelist, and criminal, Jean Genet, was born December 19th, 1910, in France. 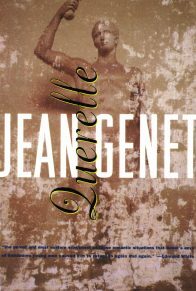 Genet’s mother, who was a young prostitute at the time of his birth, gave him up for adoption to a provincial family. By the age of fifteen, for repeated misdemeanors, Genet was incarcerated for three years, after which he joined the French Foreign Legion. He was dishonorably discharged for “lewd acts”, henceforth spending the next several years traveling around Europe, at times as a prostitute. In 1937 he came to Paris, where again he was arrested and imprisoned for vagabondage. 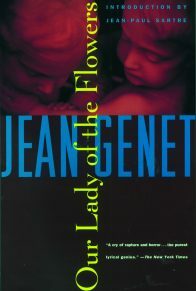 It was in prison, though, that Genet personally funded his first novel Our Lady of the Flowers (1944). 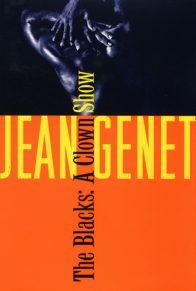 After being released from prison, Genet sought out the avant-garde writer, Jean Cocteau, who was impressed by Genet’s work, and even petitioned the French president, along with Jean-Paul Sartre, to exonerate Genet, after being faced with a life sentence. 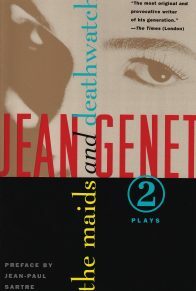 Genet became associated with the Theatre of Cruelty, which his most famous pieces became associated with, for example, The Maids (1949), Deathwatch (1949), The Balcony (1956), and The Blacks (1958). 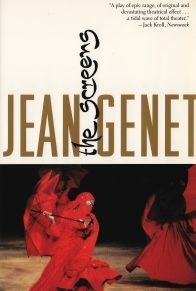 Other celebrated works of Genet include the novel, A Thief’s Journal (1949), about his experiences in prison, and The Screens (1963), a biting political play about the Algerian War of Independence. Genet died of throat cancer in 1986. 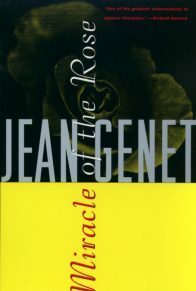 My relationship with the great Jean Genet is lifelong, if not quite as son to father-isa as it might seem. When I first read his novels as a teenager, they were part of my generation’s common language, as were the works of a slew of Grove Press authors—Burroughs, Robbe-Grillet, Beckett, just to name the most obvious. Adventurous literature was still a popular travel agency, no less vital or more forbidding than similarly groundbreaking films and rock music. 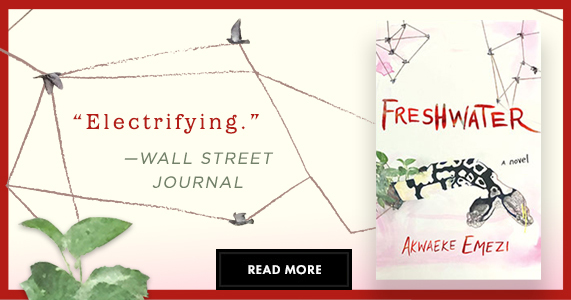 It all coexisted in the beautifully large category “underground,” wherein all experiments on the imagination were prized, no matter how drastic. In the days before identity politics, young people looked to books for ways to reinvent themselves, not for reasons to sequester themselves inside their own gender, sexual preference, or race. The obsessive, violent, homosexual, lovesick, nonlinear realm of Genet’s work had a universal appeal that’s almost impossible to imagine now. 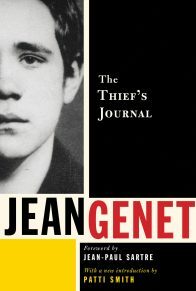 All of which is to say, Genet was not a secret hero and role model of mine, but one of many countercultural heroes who happened to speak with a particular clarity to me. 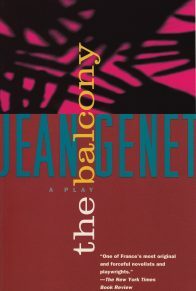 In retrospect, Genet’s work communicates less about the defiant America that initially embraced it, or about the gay literary establishment that subsequently adopted him as a standard bearer, than it does about an individualism so thorough, and so in tune with the deepest, most complex mechanisms of fiction, that it remains a sublime, untouchable, unrepeatable feat. 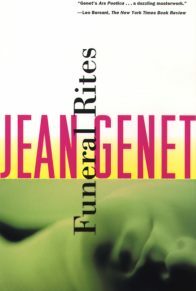 As for me and mine, Genet’s subject matter, so eerily approximate to the things I wanted to write about, g ave me the early courage to explore what he had begun to explore, and his densely poetic style and elliptical approach helped me identify the smoke that I knew I would need to clear away in order to find my own terse, skeletal truth.